Simona Halep says the return of Serena Williams in 2018 will be a big boost for the WTA Tour. Williams, the 23-time grand slam champion, has not featured since lifting the Australian Open title in January, a feat she did while being two months pregnant. The American has since given birth to daughter Alexis Olympia. 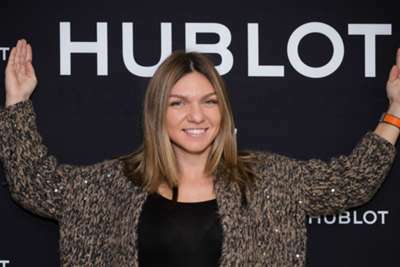 She will return to action in 2018 – although exactly when remains unclear – and Halep is looking forward to competing with her again despite Williams' dominance in recent years. "I think we miss her. In my opinion, I miss her," she told Omnisport, speaking courtesy of Hublot. "The tournaments were more open when she was not playing. But now that she is coming back, I think it's great for the sport. "It shows that she's very ambitious and she has a big desire to play tennis again, which is great. I'll always admire her."